software to be delivered and installed to your customers. 2009/10/07: Modified not to use SolWebBrowser. 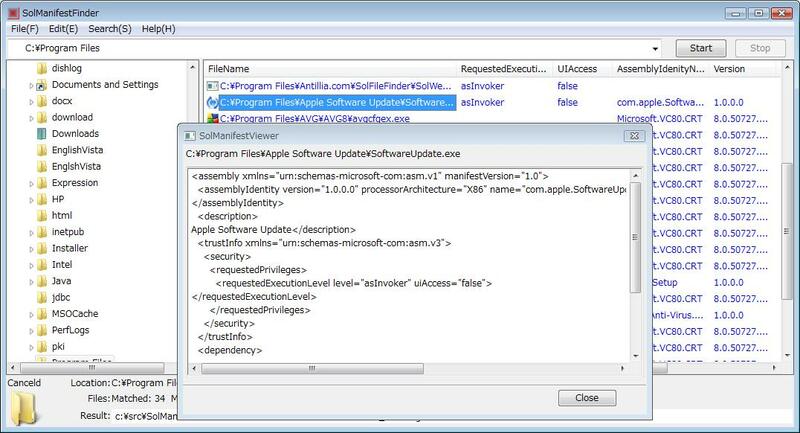 2009/10/07: Modified to show 'File Properties' for a selected file in the listiview. 2009/10/07: Modified to show 'Version Properties' for a selected file in the listiview. 1. 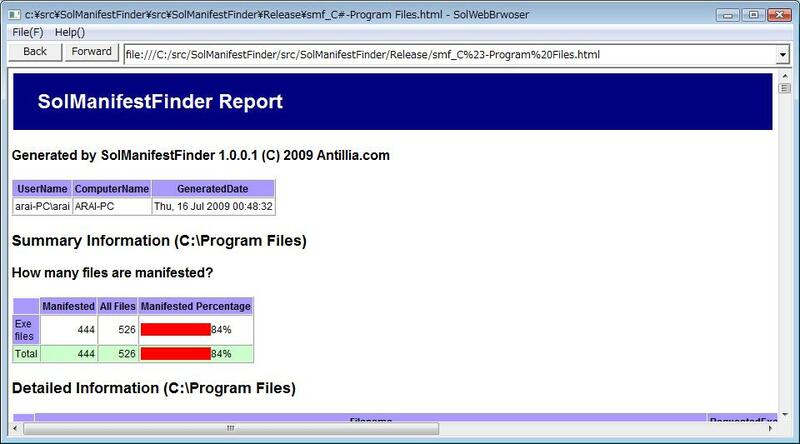 Run SolManifestFinder program on your desktop, then a Windows Explorer like window will be displayed. See Figure 1. 2. Select a drive or folder to search in the left treeview pane of the window. 3. 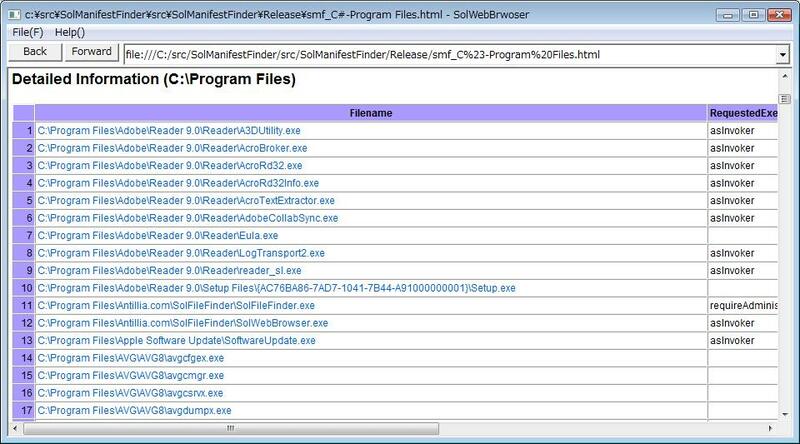 To start a search of files(*.exe), click [Start] button on the upper right of the the window. Or Select [Start] of a pulldown menu for [Search] menu. 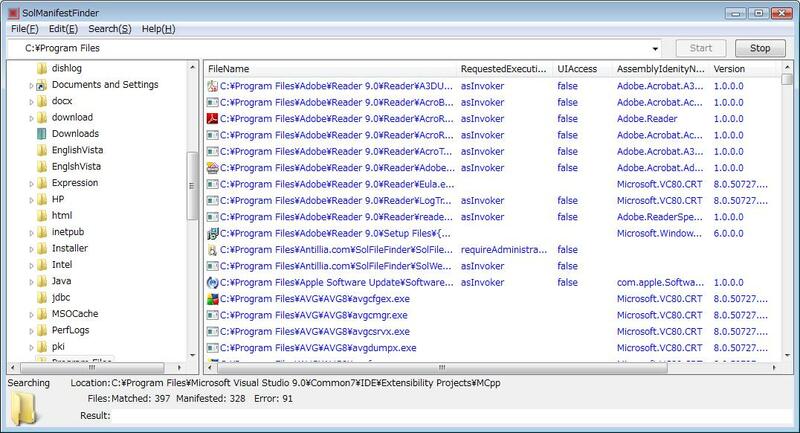 The search will be recursively done in all subfolders if accessable. will be displayed in the right listview pane of the window. of the file will be displayed. See Figure 2.